Salil joined Watsi on November 7th, 2014. Four years ago, Salil became the 607th member to automatically support a new Watsi patient every month. Since then, 4,479 more people have become monthly donors! Salil's most recent donation traveled 8,800 miles to support Duk, a man from Cambodia, to fund cataract surgery. Salil has funded healthcare for 43 patients in 12 countries. Chrestin is a baby from Ethiopia. His father is a civil servant, and his mother takes care of him. Chrestin was born with a congenital anomaly called bladder extrophy. This means his urinary system does not function normally and he is exposed to infections. He underwent corrective surgery three days after he was born, but the procedure was not successful. Chrestin is now scheduled to undergo another corrective bladder surgery on February 5. His family needs help raising $1,500 to fund the procedure. His mother says, "Our income is now only from my husband's salary and this is very limited on our basic need. We are living in a rented house. Our baby had surgery before but we were informed that it failed. Now we can’t afford this medical bill for these reasons." 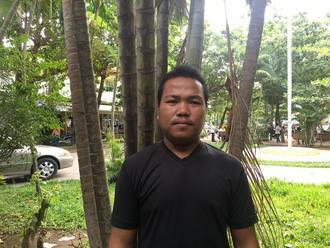 Lavy is a motorcyle taxi driver from Cambodia. He is married and has two sons. He likes to watch TV in his free time. Twenty years ago, Lavy had an ear infection. This infection caused the tympanic membrane, or the ear drum, in his right ear to perforate. For this reason, Lavy experiences discharge, itchiness, tinnitus. He cannot hear clearly. Lavy traveled to our medical partner's care center to receive treatment. On November 7, he will undergo a myringoplasty procedure in his right ear. During this procedure, surgeons will close the perforation. Our medical partner, Children's Surgical Centre, is requesting $423 to fund this procedure. This covers medications, supplies, and inpatient care. He says, "I hope I have no more ear pain after the operation." Talusha is a student from Haiti. She lives with her parents, brothers, and sisters in a small coastal town in northern Haiti. She is in fourth grade and enjoys going to school, especially studying math and science. Talusha has a cardiac condition called atrial septal defect. A hole exists between the two upper chambers of her heart. Blood leaks through this hole, leaving her sickly and weak. 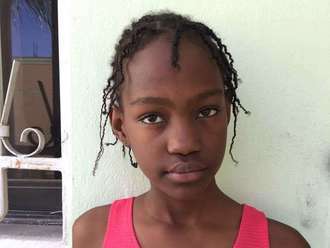 Talusha will fly to Cayman Islands to receive treatment. She will undergo cardiac surgery, during which surgeons will use a catheter to close the hole in her heart with a device. Another organization, Have a Heart Cayman, is contributing $12,000 to pay for surgery. Talusha's family also needs help to fund the costs of travel, scheduled for November 3. The $1,343 bill covers her flight to the hospital. Our medical partner, Haiti Cardiac Alliance, will also provide support to the family as they travel overseas. We are also fundraising for her [surgical prep costs](https://watsi.org/profile/abb173404d69-talusha). She says, "I am excited to get on a plane for the first time and see another country!" Mpapa is a 10-year-old boy from Kenya. He lives with his parents and five siblings in a small town north of Nairobi. His father is a motorcycle taxi driver who also raises goats. 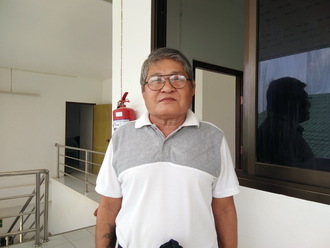 Recently, Mpapa was involved in a motorcycle accident that resulted in the amputation of the fingers of his right hand. His father rushed him to a local hospital, where he was referred to our medical partner's care center, AIC Kijabe Hospital. Doctors recommended a debridement procedure and a skin graft in order to prevent infection of the bones and of the exposed tissue. Mpapa's father immediately sold eight of the family goats in order to pay for Mpapa's hospital admission, however the money is still not enough to cover the recommended treatment. Our medical partner, African Mission Healthcare Foundation, is requesting $1,129, on top of the $206 subsidized by Mpapa's family, to cover the cost of Mpapa's operation. The procedures are scheduled to take place on June 29 and, once completed, will hopefully protect Mpapa's hand from infection. “I would like to see my son doing okay and being able to utilize his hand," says Mpapa's father. Rawda is a six-month-old baby living in Ethiopia with her mother. She loves to drink juice and play with her mother. Rawda's mother is a housewife, and her father is a daily laborer. Her father has a small income, which can only support their daily needs. Rawda was born with an abnormal bowel condition. Soon after birth, she developed bowel obstruction and underwent an emergency procedure. She needs to continue treatment to fully correct the condition. “I can’t afford for my child's medical bill because I don’t have my own income and my husband’s income is too little to cover our daily costs in the house," Rawda's mother explains. "I am here though the help of another organization. All I have is hope to see my baby healthy.” Rawda's doctors have scheduled a procedure to correct her sensitive condition. The total cost of the procedure is $1,500, and covers supplies, medications, imaging, and one day of inpatient care. Her procedure is scheduled for July 27. 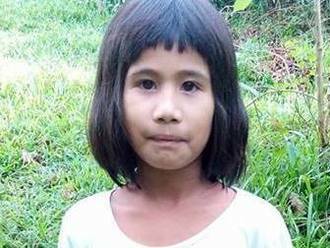 Hazel Ann is a nine-year-old girl from the Philippines. In her free time, she loves reading books. Hazel Ann was recently diagnosed with malnutrition, a condition that results from consuming too few calories, proteins, and nutrients. Beginning on July 6, Hazel Ann will receive at-home malnutrition treatment through our medical partner, International Care Ministries (ICM). ICM will provide Hazel Ann with nutrient enriched food packs to help her gain weight and achieve optimal physical and mental development. The program will also teach her family about proper nutrition, sanitation, and organic gardening to better care for their daughter. ICM is requesting $173 to cover the cost of Hazel Ann's ongoing care. "I pray that Hazel will gain weight and recover from malnutrition," says Hazel Ann's mother.